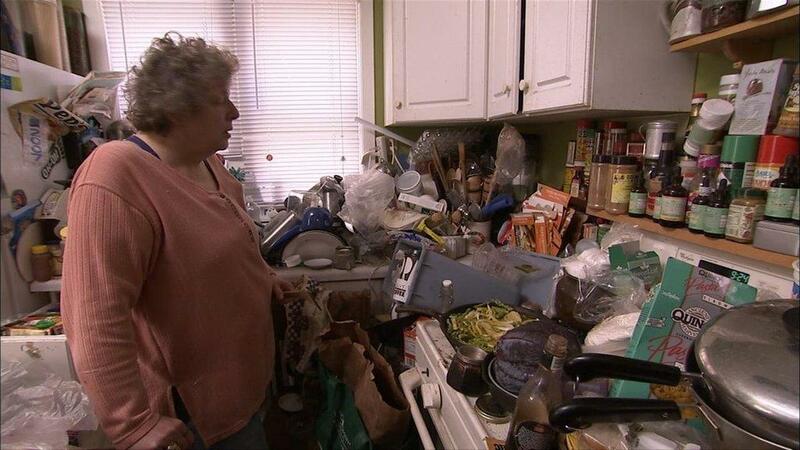 Have any of you seen A&E's Hoarders or TLC's Hoarding: Buried Alive? Oh. Em. Gee. There are full episodes on the A&E website. You have to watch the maggots in the coffee pot clip. I feel a little guilty watching the show, because these people are clearly mentally unbalanced. But you can't turn away. You have to watch the maggots in the coffee pot clip. You don’t know how happy I am that this is hyperbole. Excuse me, I have to go buy vinegar and clean the coffee pot. You were right and it weighted on my mind until I did watch it. Past experience doing research in mental health has lead me to interpret “danger to themselves” more broadly than most U.S. courts and that video did not push me the other way. I have a few times. The show is so sad. But it really has helped me understand better a distant relative who is a hoarder. I had no idea until I saw the show that there were others like her out there. I can’t watch. It feels beyond exploitative. I just don’t think the hoarders themselves are competent to give consent. I haven’t watched those shows, but I was visiting a borderline hoarder this summer, and it was one of the many reasons that I’m currently going through all of my storage. She generally has about a dozen saucers of rancid margarine in her fridge, and she carefully wraps up small dishes of canned green beans from dinner. The “fresh” veggies at the bottom of the fridge are generally in a state of liquification. The cupboards were a treasure trove with the occasional petrified and forgotten muffin, half a granola bar, and so forth, all squirreled away for a later that never comes. She had 3 or 4 big containers of Crisco in the kitchen, some with barely anything in them and she has years worth of tea. The thing is, if you call her on this stuff, she claims that she’s being economical, but the problem is she’s got so much stuff that she doesn’t get to it before it goes bad. The last I heard, she wanted to expand her house. At least it’s not cats or dogs. I watch the show online now and then in part because my parents are hoarders – not squalor-level; their main floor is pretty okay but if you go into the basement or the upstairs rooms you pretty much think you are in an episode. It’s such a tough condition and I worry that if one of them is ill or dies the house will get to that level. And as a family member there’s not much you can do, seems like.